After combat veterans and I have established that indeed two “persons”–the combat veteran and the War–returned within that one body who flew back to the States, we have to clarify one other matter before we can move on to extroversion/introversion and The War Within. 1. Military life is intense. 2. Military life in time of war is intensely intense. 3. The United States has had, for nearly forty years, an all-volunteer military. 4. There are much easier avenues to a college education than an all-expenses-paid trip to boot camp, followed by a similar, federally-sponsored junket to the high-class spas of the Al Anbar province. 5. Therefore (sort of): if one volunteers for the military these days, one is intense. Intensely intense. Most Americans have had little contact with military personnel, except perhaps to parrot the occasional, often-lame “Thank you for your service!” on one of those moving sidewalks at the local airport. 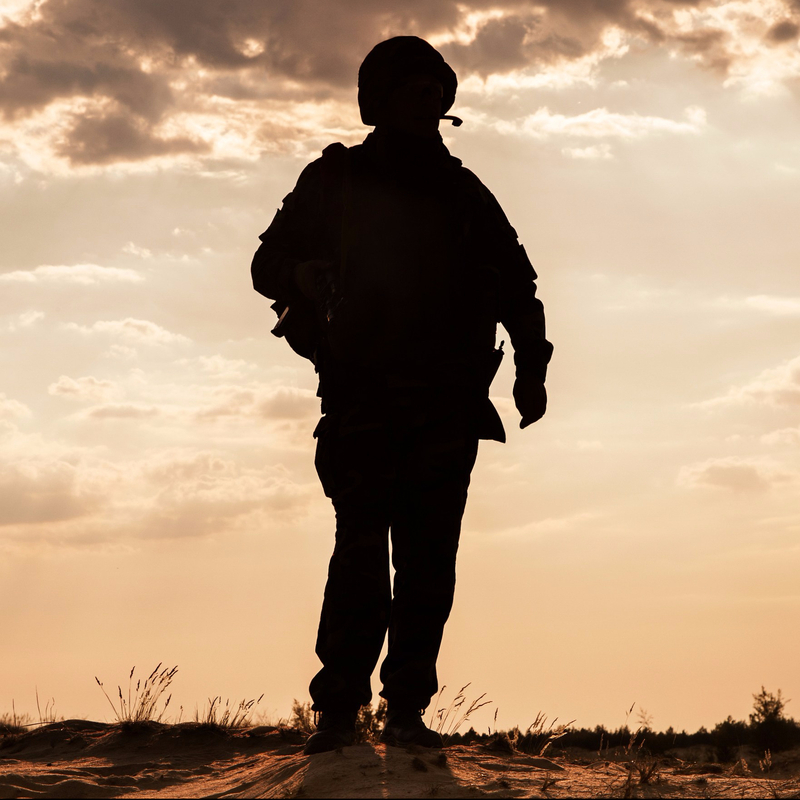 In many, many ways, the men and women of the modern military are anything but the stereotypes you might think them–no matter what those stereotypes might be. If you have an idea of the “typical soldier,” you’re probably, more often than not, at least misguided, if not downright wrong. Still, military life is not that unfathomable for the uninitiated (un-booted? ), either. All one has to do is talk to–or just listen to–the individuals whom the military sends out into our civilian world to inform us of the nuances (and the robustness) of military life, and one will understand fully the ethos of the military, whether or not that represents its realities. For the Army, Air Force, it’s some variant of hooah. From what I understand, in Marine-speak that’s often loosely translated as oorah. I just report what I’m told. Honestly, many combat veterans will only roll their eyes when they hear those terms, associated as they can be with an ésprit de corps that is more for the eyes and ears of the chain of command than it is for any actual, living-breathing soldier or Marine. Still, there is something so military, so go-get-‘em about those terms, those exclamations, if one could call them that, so military par excellence about the Roger That’s one so often hears from combat veterans. Anglo-Saxon verbs are all that can associate with such expressions of the warrior spirit. Go. Jump. Run. No Franco-Latinate here, baby, no advance, plummet, escape. That’s officer talk, complete with cc’s to Arlington, Virginia. Military life is often boring beyond belief, much as it has been for centuries. Yet undergirding it, every moment, is an intensity that finds its culmination in modern deployments, an intensity that often exhausts, sometimes exhilarates, occasionally horrifies. “Laid-back combat veteran” is more than just a oxymoron. It’s a sick joke. Military life is also, if anything, group life. The whole point of boot camp is to rip that rugged individualism right out of you and dump it into a communal pot to create a unit, a platoon, a social unit that thinks, breathes–and, God, hopefully lives–as one. When push comes to shove, “band of brothers” is not just Shakespearean rip-off. It’s all one has. Intense group experiences. Energy and the social. What could be more extroverted, eh? I do suspect that, as a whole, the military attracts more extroverted-types than introverted ones. Again, I’m not talking here about sociability or lack thereof when I use the terms extrovert and introvert. By the definitions I’m using, extroverts are energized by group interactions. Talk = Life for them. If the extrovert feels empty, it’s time to slap a few backs, make a couple calls, gather ‘round ESPN, or head down to the local pub. Go. Jump. Run. Be ye not deceived, however: introverts, especially those who have found themselves attracted to military life, do all the above–and with vim and vigor, I might add. While I can say that I have, in my day, met some quiet, shy-types who have been military, even combat-military, they are anything but the norm, and, as one might imagine, they stick out like the proverbial sore thumb. When service members watch SportsCenter, whether in barracks or around bar tables, you’ll be hard-pressed to tell the extroverts from the introverts simply by observation. All will be laughing, opining, denigrating, commiserating. It’s not about looks, though. It’s about energy transfer. Think of it as an additional Law of Thermodynamics. For extroverts, laughs and insults thrown around a room add energy to their souls’ stores. If extroverts have the stamina, if they can put off the physical fatigue of interpersonal frivolity long enough, their Energizer Bunnies will just keep sucking it all in, recharging as they reboot, ready (after a snooze and a drying-off, probably) to take on the world once again. In contrast, for introverts, such laughs and insults–even when enjoyed, sought after, and heartily participated in–will ultimately, without fail, reduce the energy already stored in their souls. If you will, introverts save up their Energizer-Bunny reserves precisely for such moments. Even if introverts have the physical stamina to match their extrovert friends guffaw by guffaw, crude joke by crude joke, eventually they will lose steam. Eventually they will–and quite willingly, I might add–sit back and enjoy the show and only thus recharge and reboot. Never forget, my extroverted readers and friends: one can be perched smack dab in the middle of chaos and still, believe it or not, be pleasantly all by one’s self. For the introvert, Quiet = Life. Think of it this way: if two soldiers, Marines, airmen, seamen were somehow able never to fatigue, always to have the physical strength to keep going, keep going, keep going? The extroverted one would be in Heaven just as long as there was one more interaction, one more tête-à-tête to be had, keep going, keep going, wow, this is amazing! The introverted one, in contrast, would eventually need a smoke break. Please. Dear God. Have mercy. Just five minutes. By myself. One cigarette, just one. I’ll be right back, promise, cross my heart, fun, fun, go, go. But . . . please. And neither can understand why the other does what he or she does. Therefore, a truth that I’ve seen over and over and over in my office, a truth that perhaps I, as an introvert, might be able to pick up on more easily than some of my more extroverted colleagues: introverts, if they are to succeed–to survive, even–in the military world must, like all of us introverts in an extroverted society such as America’s, learn daily to spiff up and put on their pseudoextrovert suits, to use a phrase so wonderfully coined by Susan Cain in her excellent book, Quiet: The Power of Introverts in a World That Can’t Stop Talking. Such suits are not fake suits, false fronts, “acts” that we introverts must put on in order to keep our extroverted family and friends at bay. There’s an introvert in every extrovert and an extrovert in every introvert. It’s never that binary. I’m as introverted as you can get, but I have zero problem standing in front of four hundred people and giving a lecture, taking questions afterwards. As I often say, I don’t mind playing an extrovert on TV. Never think that such extrovert exercises energize us introverts. That does not mean that we do not enjoy such exercises, for often we more than do. But after all is said and done, when that last questioner standing in line asks us if we want to have a drink and talk this over more? Whereas our extrovert colleagues would be asking for suggestions as to the best martinis in the area, we introverts, in contrast, would once again, ever so politely, smile and reassure our interested audience member that though we’d more than love to, we do have to get on to our next engagement ever so forthwith, but we’ll gladly take that person’s card and be in touch. I’m on controversial ground when I say this, but say this I will, based on my experience of my own life, of the lives of those with whom I live, of the lives of those whom I serve: introversion/extroversion is not something one chooses. It is something that one is. It’s like having a major and a minor. One might become quite proficient in one’s minor, but one always falls back on one’s major when one needs to get things done–and to get ready to get things done. So what do you do if you’re an introvert who’s been immersed in an extrovert’s way of life, way of thinking–an extrovert’s values? What if you find yourself assuming that just because you can well play an extrovert on TV, you should be able to live the extrovert in real life? What if extroverts handle The War Within differently than you do? Based on my experience, what do introverted combat veterans do? They assume that they are wrong, weak, stupid, wimpy, worthless, incapable, phoney, not cut-out for the real world. False. Neither extrovert nor introvert gets a “Get Out of Jail Free” card after combat. Yet, if you will, each circles around that Monopoly board much differently, paying much different prices for much different houses and hotels. Thus, more essays are in order.